Over the last few seasons, Leinster Rugby have gradually raised to a position at the very top of the European rugby tree. With three Heineken Cup titles and four Pro12 titles in their recent history, they are arguably the pre-eminent team of the early part of this decade. 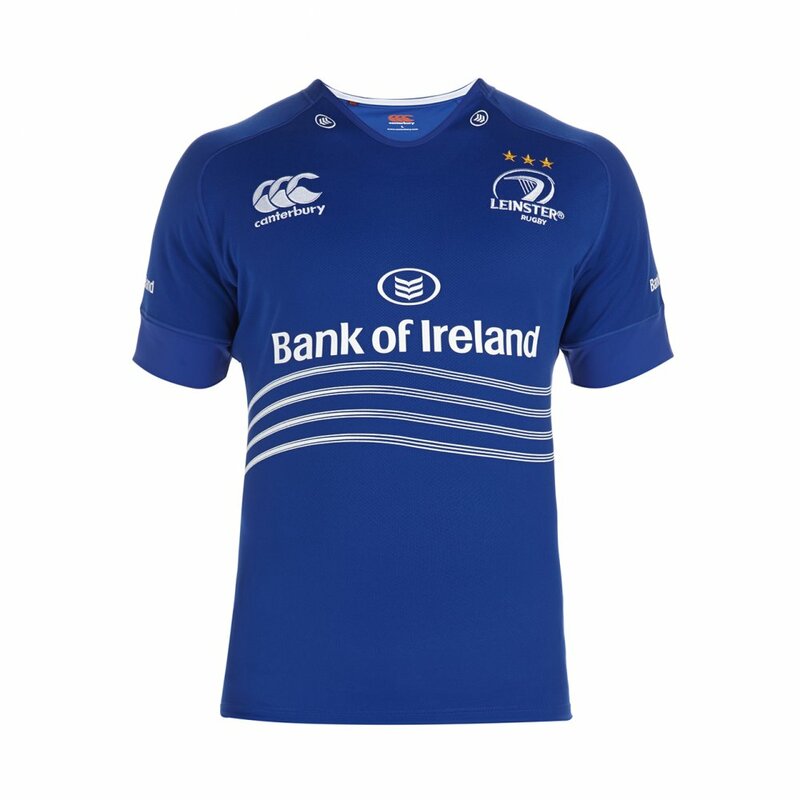 With that in mind, what they’re wearing to do it is rather important too, so let’s take a look at what Leinster will be wearing between 2013 and 2015. 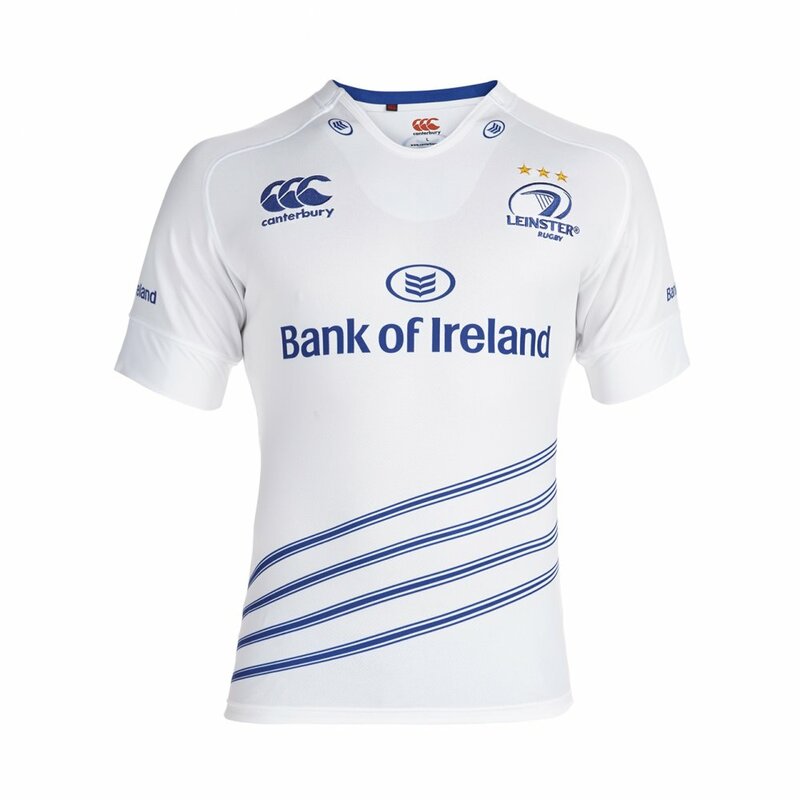 Canterbury have a long history with Leinster, they’ve been producing the province’s shirt for a good long while now, and while the designs have generally been quite good, there’s been a gradual trend towards complexity in the designs over the last few years, with white, different shades of blue and and even yellow becoming more and more prevalent. 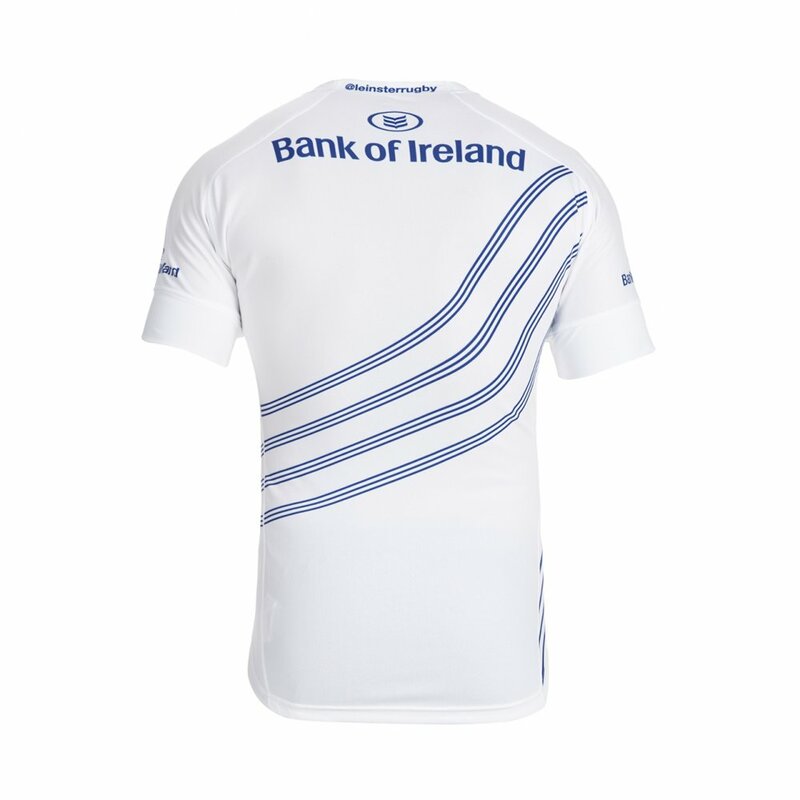 The 2013/15 design strips all this back, offering a very clean, very modern shirt with just two main colours – one shade of blue (the correct, traditional royal shade) and white. The only ornamentation to this otherwise completely plain shirt, are the wavy lines across the front of the jersey. There are 12 of these lines in total – one for each of the 12 counties of Leinster, and theses are split into four blocks, which we believe are a nod to the four harp strings on the Leinster Rugby badge. 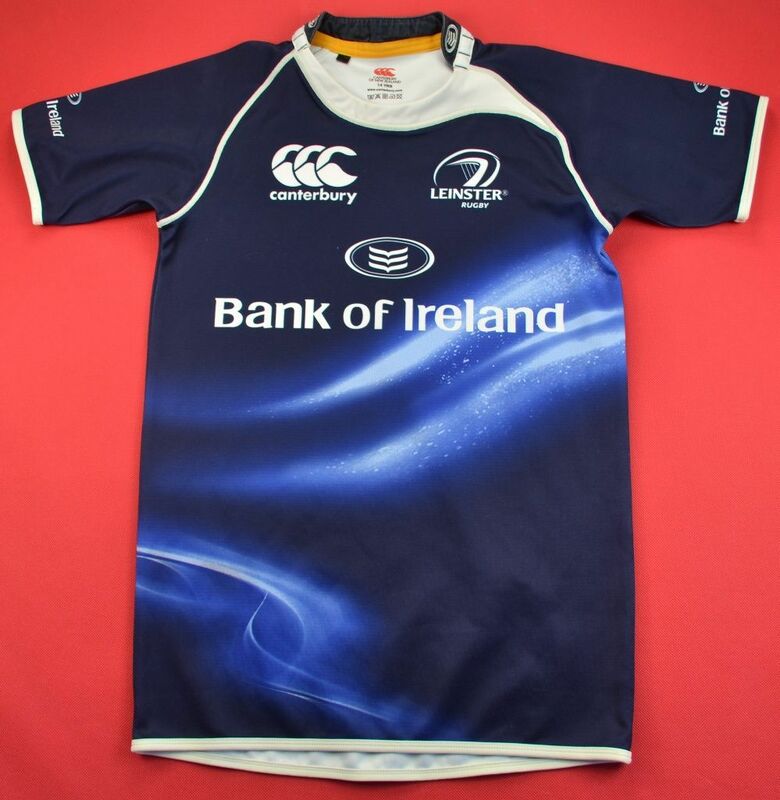 Canterbury have been more evident in incorporating the harp into their jersey of late – indeed the 2014/15 European shirt has a similar nod with the four gold bars on that jersey’s front – but we like how it’s been kept subtle and understated here. Other than that, this is indeed one very plain, very clean shirt, but we love the simplicity. 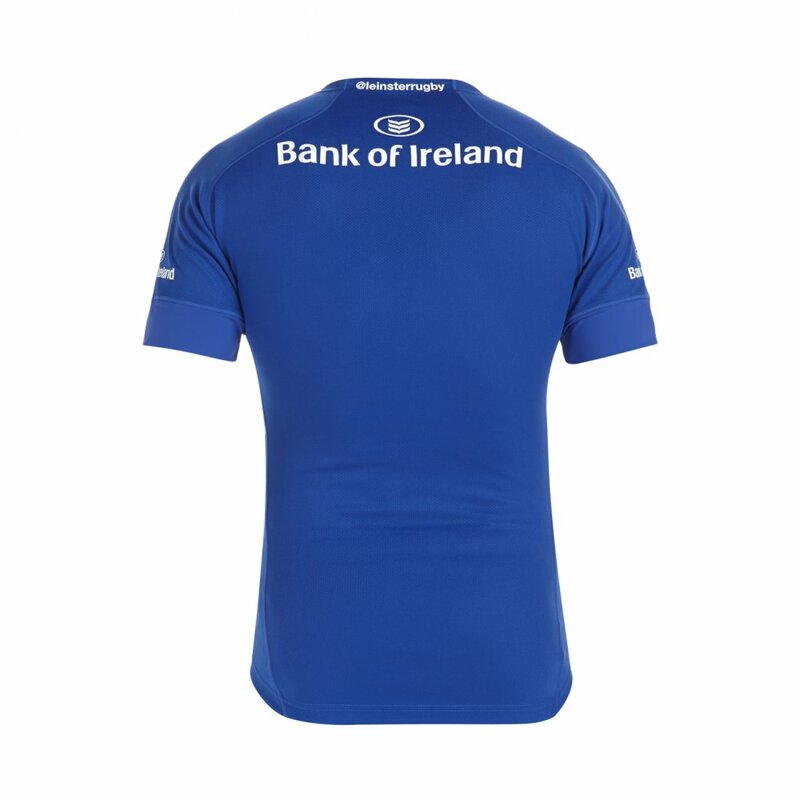 Leinster are a big-time club with a very recognisable look – they don’t need to resort to gimmicks in order to have a winning, distinctive design. The alternate shirt is on the surface a simple blue-for-white palette swap with the home shirt, and very lovely it is, too. However, notice that the 12 blue stripes are much more prominently displayed here, going diagonally across the bottom half of the shirt. It’s no bad thing either, as plain white shirts can often look a bit too spartan without some ornamentation. Unlike the home shirt, however, the stripes continue around the back of the jersey, so what we in fact have is stripes that begin at the jersey’s lower half and continue unbroken all the way around to the shoulder. It’s quite cool, and definitely adds a bit of dynamism to the jersey. That said, when you stick a number on the back, it does get a little bit cluttered, so perhaps keeping patterns and sublimation to the front, as many new-for-2014 Canterbury shirts have done, is a more sensible move. These two shirts are further proof of how Canterbury has been knocking it out of the park of late – they’re clean, simple and attractive, while still having a cool modern vibe that lifts them from being unapologetically retro, and some subtle flourishes that prevent them looking too plain.